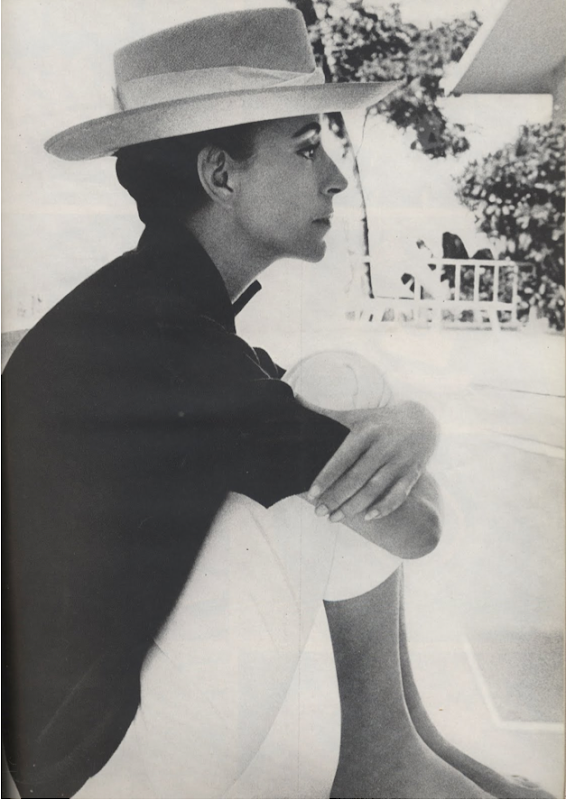 Photo of Gloria Guinness in 1966 by Cecil Beaton for Harper's Bazaar via Rare Vintage. Harper's Bazaar: Do you always wear white sharkskin tousers and men's cotton tops in black or navy when you are on holiday in Acapulco? Gloria Guinness: Yes I do, is that wrong? HB: Do you have anything special for the evenings? GG: I comb my hair. I'm not a fan of Gloria but I like they way she dress. Brilliant photo & brilliant quote. I love the photo and pose. 'I comb my hair.' Ohhh, I relate. A little too much. Love her final answer, comb my hair! I can't wait to see Cecil Beaton's photographs at The Museum of the City of NY. Love the quote too, such nonchalance. This picture was not taken by Cecil Beaton but by Bob Richardson! This is lack of informtion from the bloggers side.